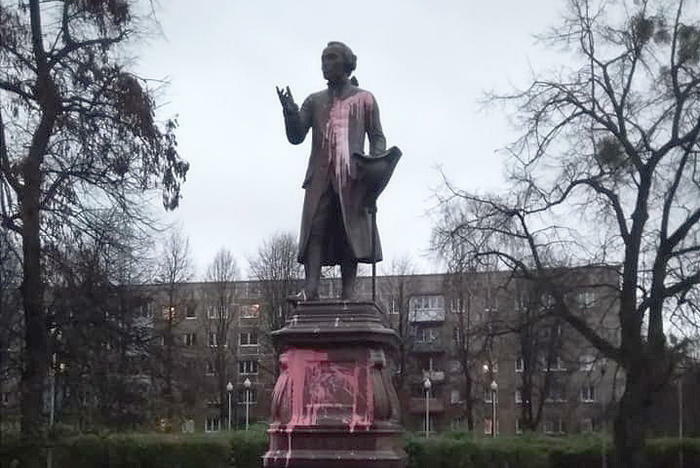 Chair of the Kaliningrad branch of Yabloko Igor Pleshkov demands that Governor of the Kaliningrad Region and law enforcement hold those who attacked the monument to philosopher Immanuel Kant and his grave accountable for their doing. Yabloko insists that the attempts to disseminate hatred to people of other nationalities as well as do away with cultural heritage must be stopped. According to Pleshkov, if the government ignores vandalism and xenophobia, that will affect Kaliningrad’s status as a tourist destination and a cultural centre. Posted: November 28th, 2018 under Understanding Russia.